Food and many other products packaged in jars made from different materials are seen commonly on supermarket shelves and homemade jars like Spice jar, Canning Jar or many other custom Mason Jar types are much popular as well. Go Stickers offers high-quality Custom Jar Labels made from high-end durable and great look and feel materials customized to perfection to suit commercial retail purpose or home-based custom jar labeling as well. We offer many different unique printing customizations along with material designing options and a variety of surface finishes as well and you can enjoy cheapest wholesale prices along with free shipping, free cutting die,, and free printing plate equipment on large bulk orders. Jars containing foods and other items come in many different shapes, materials, designs, and sizes, Go Stickers provide Custom Jar Stickers perfectly customized for each type of jars and containers they might be needed for. 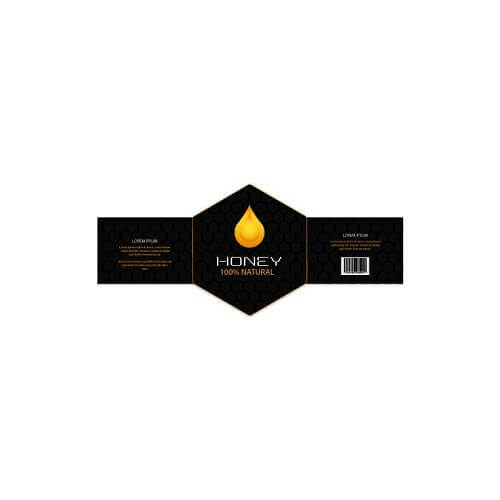 Get high-quality Honey Jar, Jelly Jar, Pre Printed Spice Jar Labels, custom Candle Jar, Glass Jar, Halloween Apothecary Jar or any other types of jar stickers with custom printing and designing suitable for every kind of usage. Our custom jar surface and lid labels are the most budget-friendly choices for commercial usage and keep in mind all the fancy requirements from each kind and type of jars they are to be pasted on. Offset printing is one of the most advanced printing methods and provides some of the most accurate and beautiful color combinations, the Printable Mason Jar Labels or any other types of jar stickers that we offer are printed with long lasting food, liquid or any other materials proof inks that not only look great but last the longest time as well. Our printing customizations for label finishing include embossing, debossing, gold/silver foil stamping and raised ink printing perfect for brand name, logo, textual product information and other designs printing. Get our Custom Mason Jar Labels or any other types of jar stickers that you need with the peace of mind that your brand’s accurate color combinations will be well displayed on your jars for as long as required. The Personalized Mason jar Labels that we offer are made from high-quality materials that when processed through our high tech equipment, provide boosted durability and top-notch finish. Whether you aim to use these for cold freezer products or room temperature regular shelf display, our labels will last you the longest while providing their good as new look and feel. Vintage Spice Jar stickers are perfectly customized for heated kitchen temperatures as well, and regardless of where and how you aim to use these, you will not be let down with the attention to detail our label stickers always have. Ball Jar Labels, honey labels or any other jar stickers and labels are always required in unique designs, sizes and dimensions in order to provide a unique finish to the specific jars and containers they are required to be pasted on. Go Stickers use high-end cutting die equipment that not only ensures neat and clean-cut designs but provides enhanced customizability in designs, sizes and dimensions as well. Whether you want small or large, round or square or any other fancy shapes and designs for your label stickers, you will not be disappointed with the sharp finish that our label products offer. Unlike many other average sticker and label providers, Go Stickers pride ourselves based on our superior quality friendly and supportive customer service. We train our agents with all the required knowledge they need to provide high-quality, reliable printing and die cutting design help. You can Design Your Jar Labels or get all the help you need to design some of the most attractive and suitable ones for all your jar products. Whichever designs you end up choosing for your label stickers, our skilled designers and high tech equipment will provide in high detail finish satisfying all your quality standards as well. We also offer a variety of surface finish options including spot UV, elegant matte or posh gloss ones that suit your specific types of jar products perfectly. The high gloss finish is perfect for many food jars, and the elegant matte is perfect for other home use domestic products. Choose any that suit your requirements well and enjoy our lowest wholesale prices that leave you big profit margins while not compromising on any of the quality features at all. Why Choose Us for Wholesale Labels? If you are a food or other product manufacturer that is contained in jars or other similarly shaped containers and display labels for them with the brand name, logo and other attractive designs printed on them in attractive finish options is what you are looking for, Go Stickers is your top provider. We offer cheapest Wholesale label stickers, and on bulk orders, free shipping, free printing plates, and free cutting die equipment are also available.